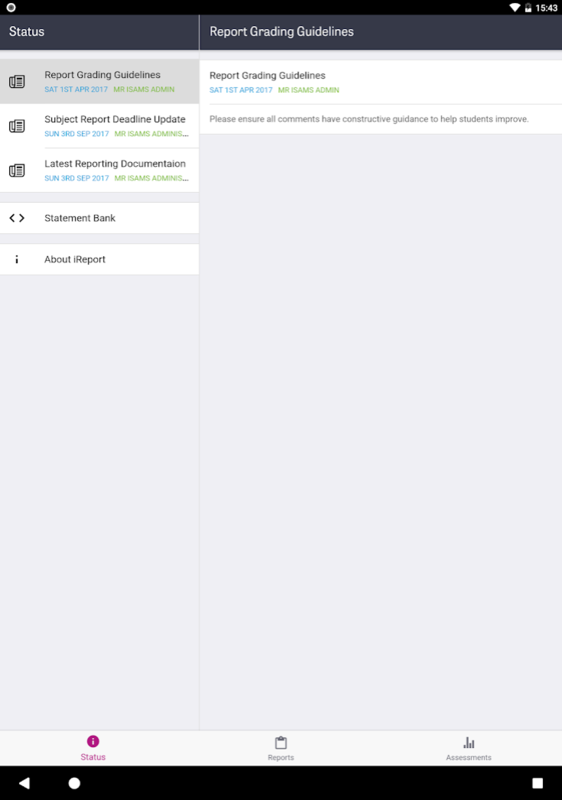 The iReport App offers teachers a new way to complete their reports at their convenience. 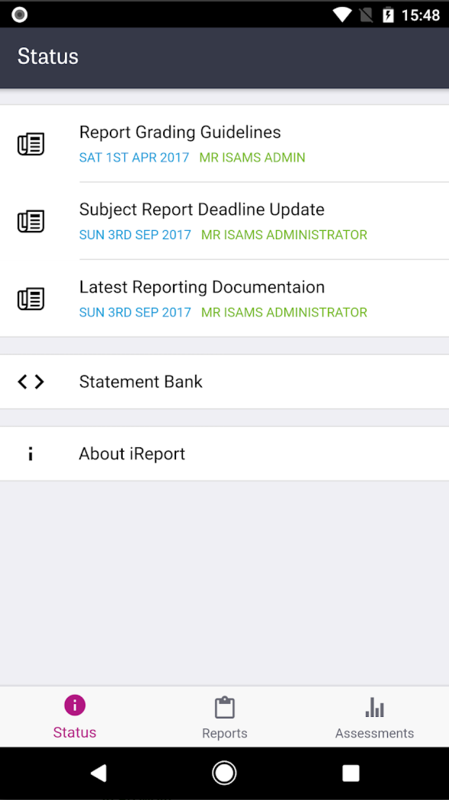 Writing and submitting interim, end-of-term and end-of-year reports for multiple classes of students is already easier and faster with iSAMS’ School Reporting module – and the iReport App brings report-writing functionality to every teacher’s mobile device, whether smartphone or tablet. 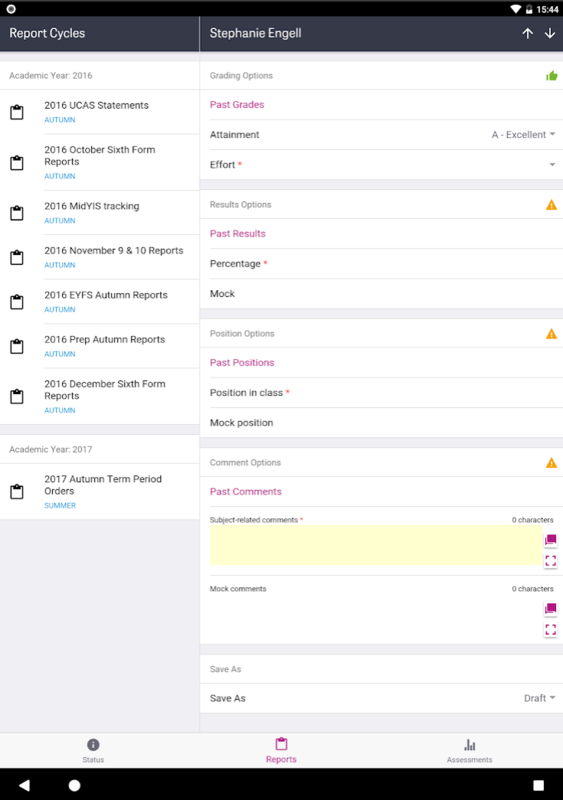 With the iReport App, teachers can write and submit grades, assessments and school reports wherever they are – on school trips, in the classroom and on the move. Intuitive and easy to use, it gives your teaching staff the opportunity to manage their time even more efficiently and complete time-consuming report writing tasks more quickly, and at their own convenience. All news items which display in the iSAMS Report Wizard appear here, followed by buttons to go to the Statement Bank page and the About page. Offers the ability to write reports for a variety of different report types, view and set the status of reports. 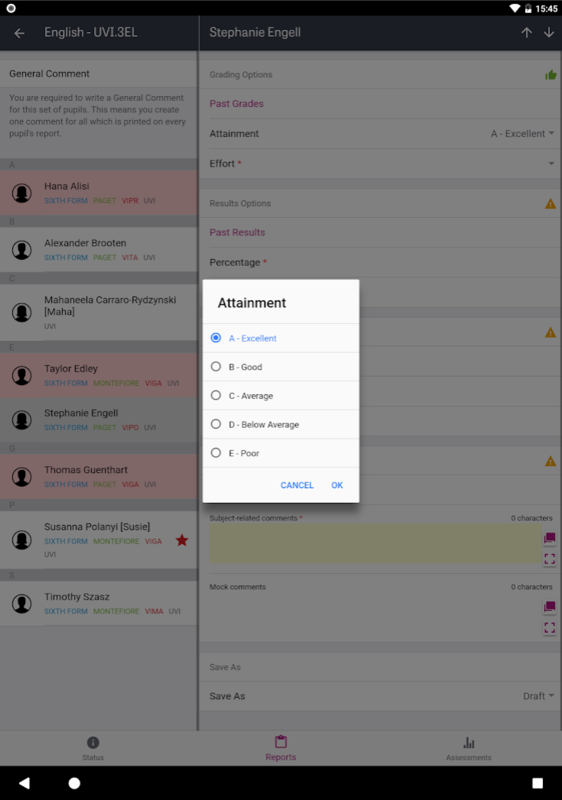 Includes the ability to see past reports for each student. 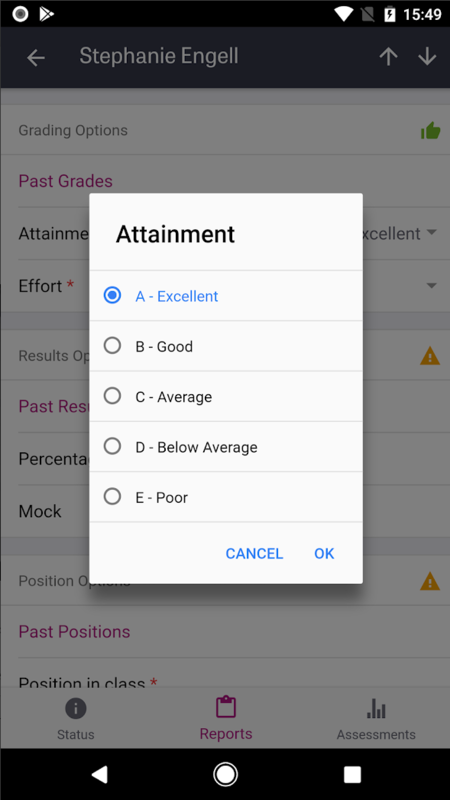 Add assessment grades for achievement and effort for each student and also view past grades. The iReport App is available to download from the Apple iTunes store for iOS and the Google Play Store for Android. 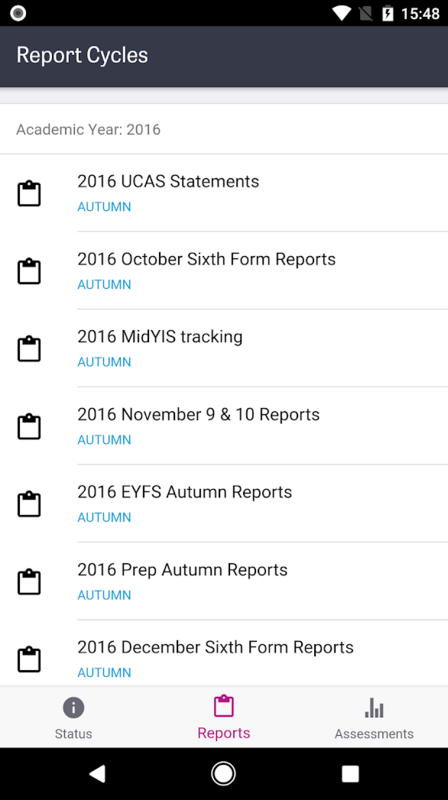 Easily and conveniently write your school reports for various report types within the reports tab. Input assessment grades for your students using the assessment tab. See how many reports you have left to do by viewing the status of your reports. Mark the status of your reports as you go to keep on top of your report workload. 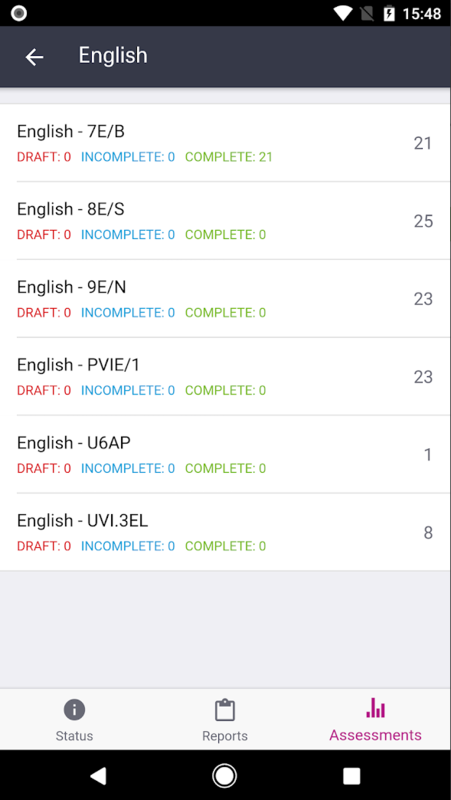 Quickly and easily see student’s past grade and comments. Proof read your reports from anywhere using a mobile device. Use the personalised statement to input template comments instantly. 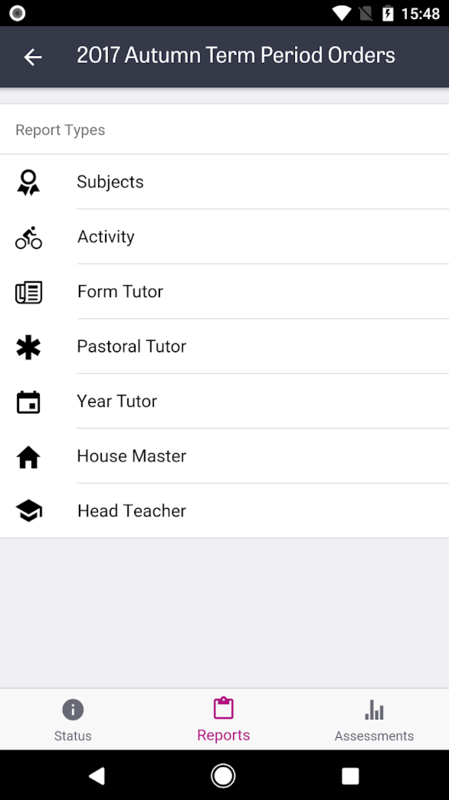 The iReport App is a companion app for the iTeacher App, you must have a license for the iTeacher App to use the new iReport App. iReport App offers 9 different languages: English, French, Spanish, German, Italian, Portuguese (European and Brazil), Thai, Simplified Chinese & Russian.